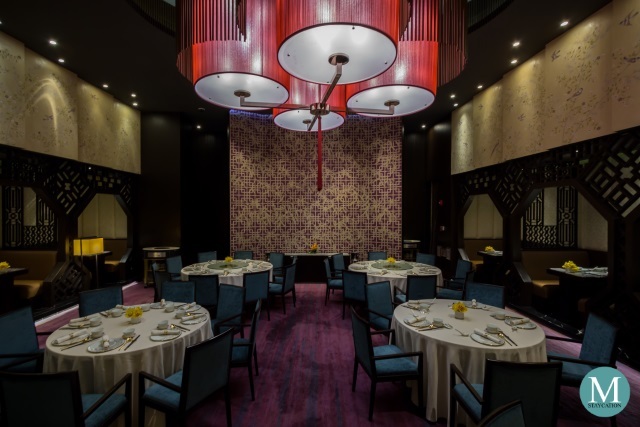 Crystal Dragon is the premier Chinese restaurant of Crown Towers Manila at City of Dreams Manila serving premium authentic Cantonese and other regional Chinese cuisines. The dishes were prepared using traditional techniques with a modern flair on presentation. This coupled by the contemporary Oriental ambiance of the restaurant. 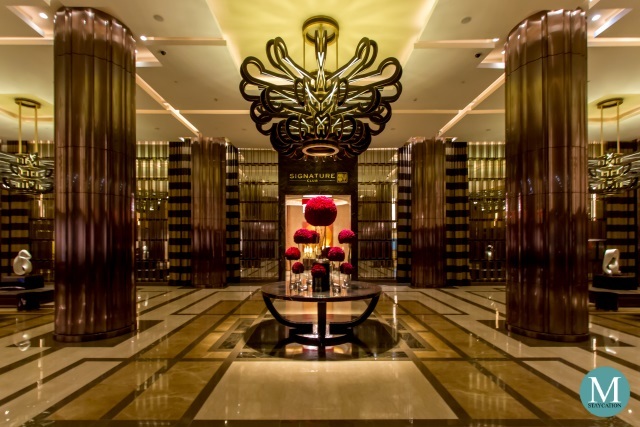 Crystal Dragon is located on the upper ground floor of the Tower 1 of Crown Tower Manila. Upon entering the lobby of the hotel, just turn right and take the elevator on the far end of the lobby. The restaurant is open to both checked-in guests and walk-in guests. 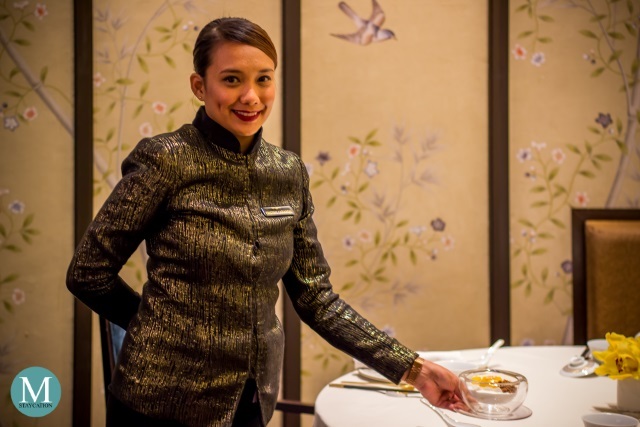 Opened only in 2015, Crystal Dragon has already been recognized as one of the best restaurants in the Philippines, consistently ranking among the Top 20 Restaurants for 2016 and 2017 by Philippine Tatler. 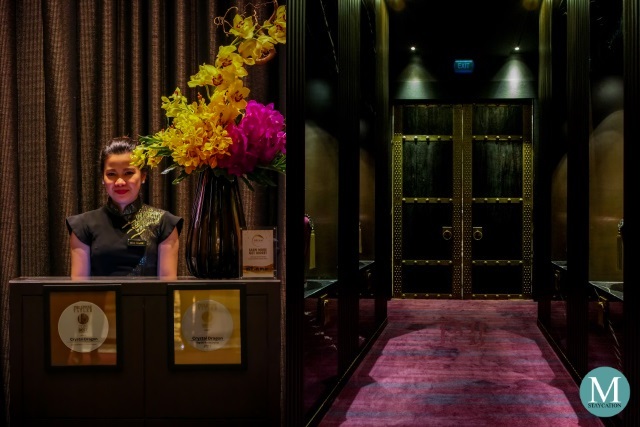 Behind the restaurant's phenomenal success is the hotel's Chinese Executive Chef, Chef Bong Jun Choi who has joined the company when it first opened. 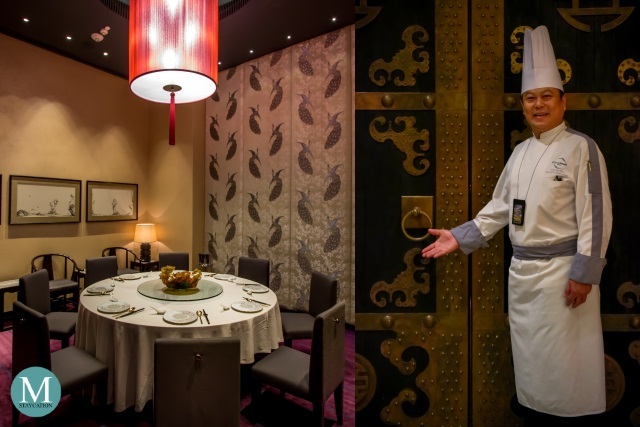 He specializes in Cantonese cooking and has also mastered other regional cuisines of China. 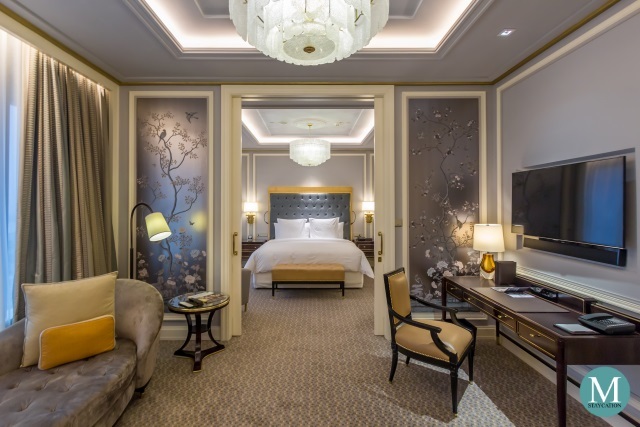 Crystal Dragon features a contemporary Oriental design while maintaining some classic elements of Chinese design such as the red lantern centerpiece, the intricate wood panels and the chinoiserie wallpapers. 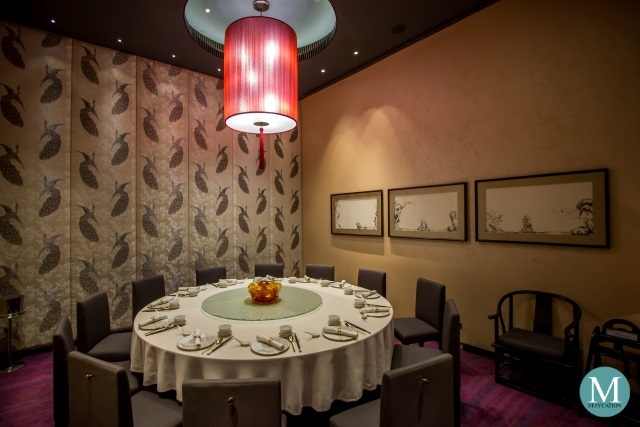 Aside from the main dining area and the booth seating, Crystal Dragon also has two private dining rooms which can seat 8 to 12 persons. We were able to sample some of the dishes of Crystal Dragon when we stayed at Crown Towers Manila a couple of weeks ago. We started our lunch with some items from their dim sum lunch menu. The Crispy Barbecue Pork Bun had a generous filling of sweet and savory pork barbecue chunks encased in a delicate bun with a crispy crust. Each order comes with three pieces of pork buns. 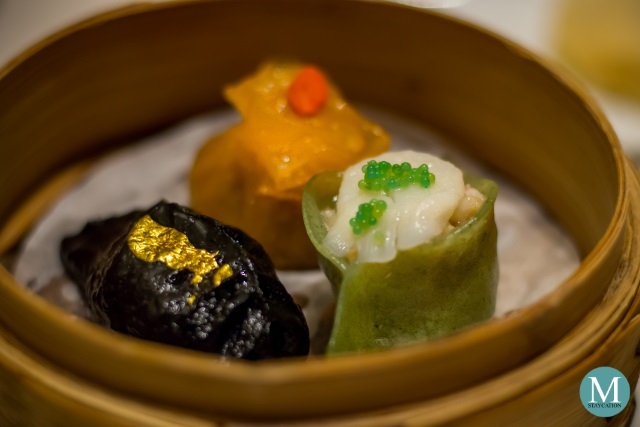 The Cantonese Steamed Three Dim Sum Combination is a beautiful medley of interesting versions of steamed dim sum. Clockwise starting from the top are the Minced Duck with Sichuan Pepper Dumpling, the Steamed Scallop and Mushroom in Spinach Dumpling, and the Steamed Crab Meat and Abalone in Squid Ink Dumpling. 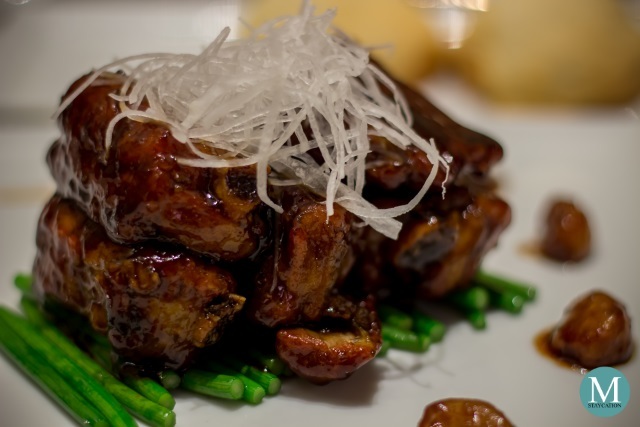 The Stewed Pork Ribs with Chinese Wine and Vinegar is a perfect example of the dishes served at Crystal Dragon. The dish has the familiar taste of stewed pork enhanced by the sweet taste of Chinese wine and the distinct aroma of Chinese vinegar, but the presentation is very contemporary, simple yet elegant. 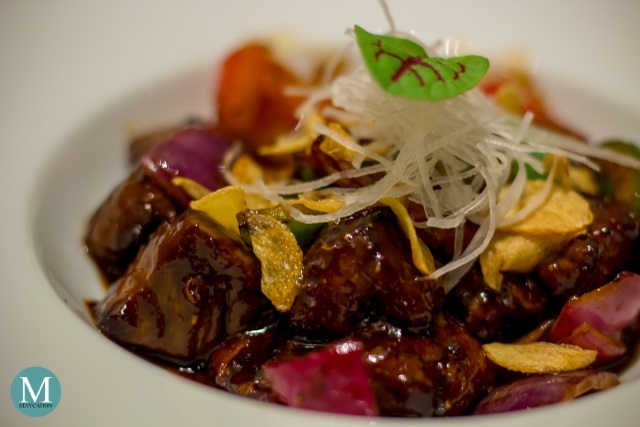 The Wok Fried Beef Tenderloin with Sichuan Pepper Sauce is a regional Chinese dish from the Sichuan province known for spicy dishes. Chef Bong used beef tenderloin which are very tender to the bite. The sauce has a wonderful balance of sweetness, saltiness, lots of aromatic flavors with a kick of pepper. 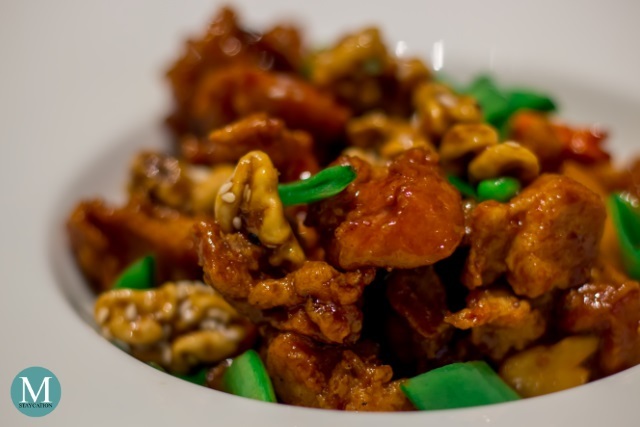 The Wok Fried Chicken with Walnut and Hoisin Sauce is definitely our favorite. The chicken was perfectly fried. Tender on the inside while crunchy on the outside. The dish maintained its crunchiness despite being coated with hoisin sauce. The candied walnuts added texture and flavor to the dish. 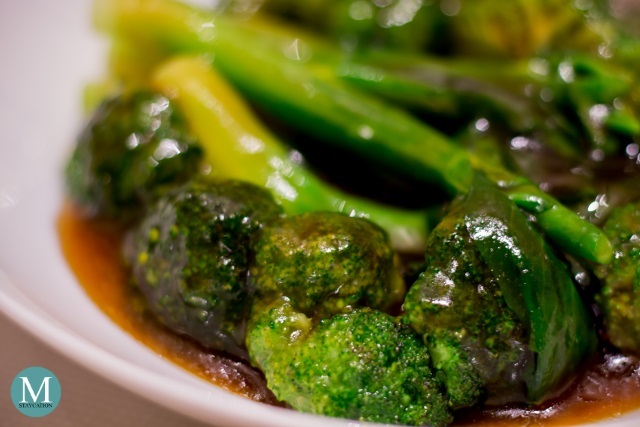 I love broccoli and when I heard that the Season's Hong Kong Vegetables in Oyster Sauce will be prepared with broccoli, I couldn't hide my excitement as I scooped out florets of broccoli and oyster sauce from the dish and onto my bowl of steamed rice. 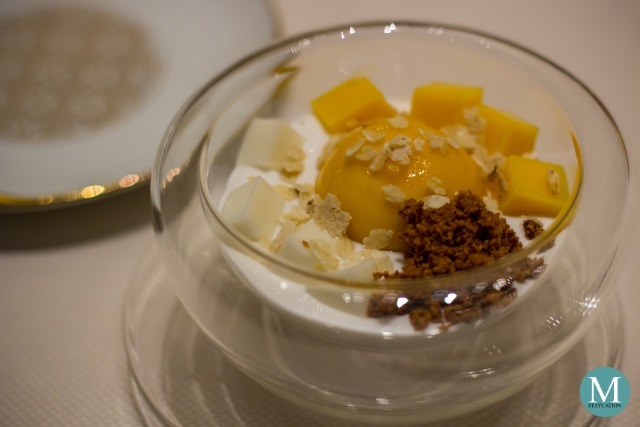 For dessert, Chef Bong served us his signature Chilled Mango Sphere Coconut Pudding. A rich custard is encased in a chilled mango sphere and served in a bed of coconut milk flavored pudding. 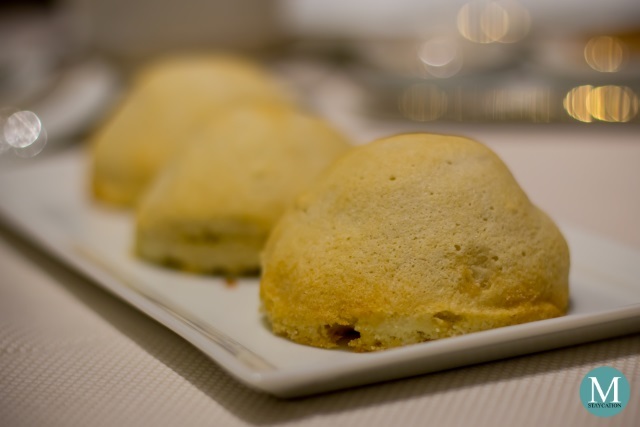 This is a reflection of Chef Bong's rich heritage of growing up in a Cantonese family with influences of Malay culture. 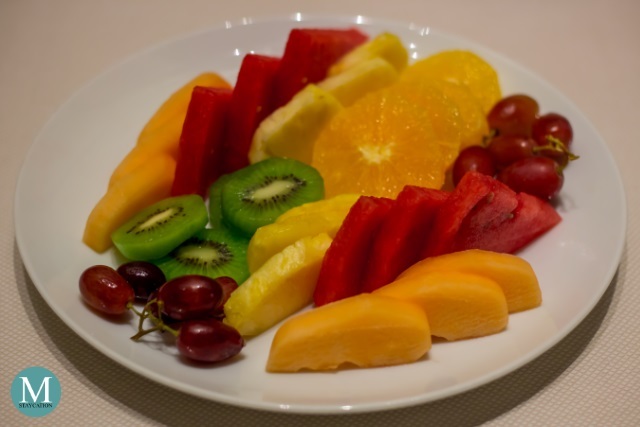 No Chinese dining is complete without finishing it off with Season's Fresh Fruit Platter. With all the flavors and savory goodness of Chinese cuisine, eating fresh fruits after a meal is a great way to cleanse the palate. 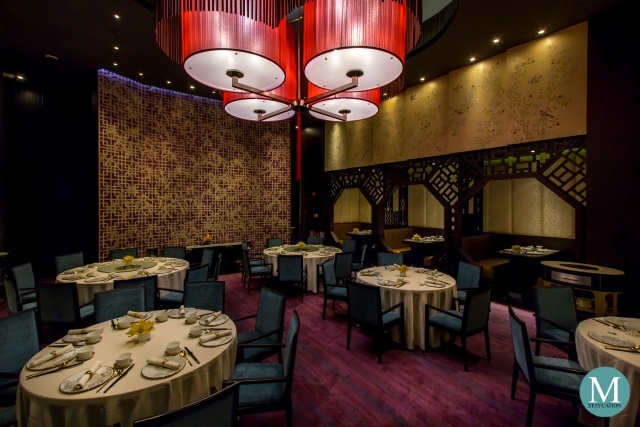 Adding to the ultra-luxurious dining ambiance at Crystal Dragon was the outstanding customer service that is refined and graceful, attentive yet discrete. Guests keep coming back for the memorable dining experience matched with the legendary Filipino hospitality. 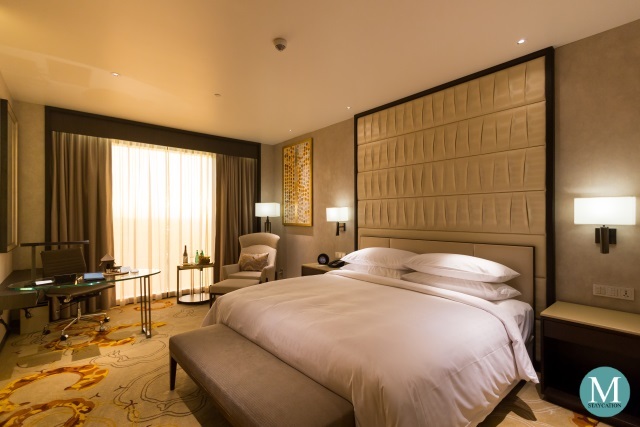 Why not combine your bespoke Chinese dining at Crystal Dragon with a luxurious staycation at Crown Towers Manila. 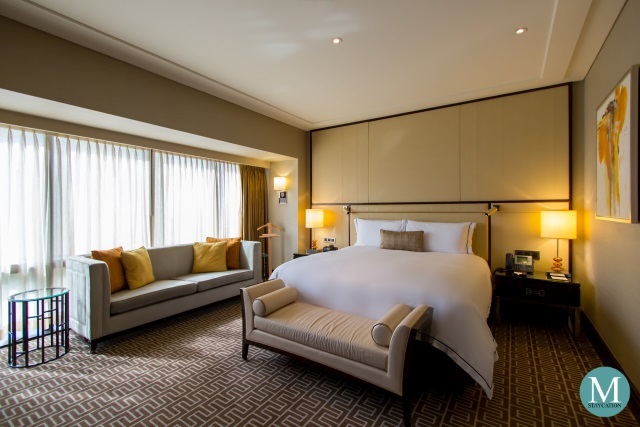 Offering a 6-star hotel experience, Crown Towers Manila has a total of 254 luxurious guestrooms, suites and villas. 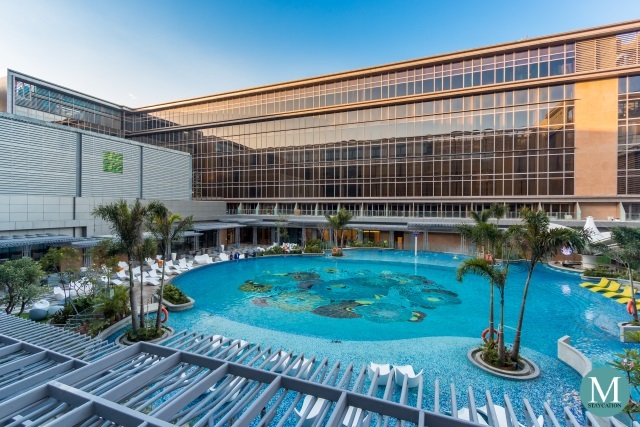 The hotel has an exclusive outdoor lagoon-shaped swimming pool, a fitness center, and a spa. 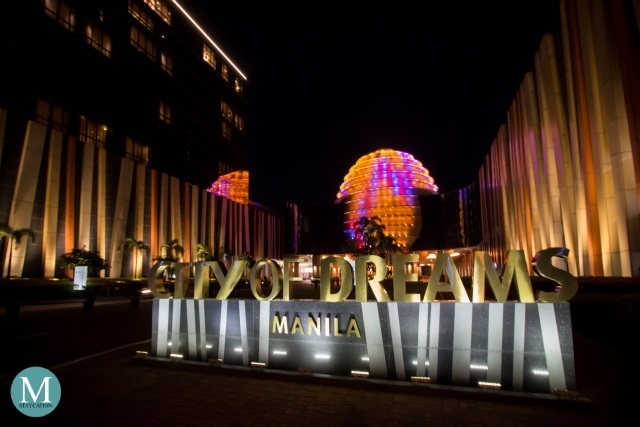 Crown Towers Manila is part of the City of Dreams Manila integrated resort, giving its guests access to countless entertainment, gaming, dining and shopping options.